Rapid-Fire comes in two editions (Student & Trainer). The Student edition comes in a Windows compatible version or an Online version. With so many choices, you're sure to find the right package for you! Compare the features for yourself and choose what's best for you. Do you already know what you want? 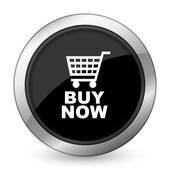 Use our online catalog to purchase Rapid-Fire software or visit any of our distributors today! Is there a title you'd like to study for that we don't have available? Please request it and we'll do our best to make it available. Test generated from random questions throughout entire book or by individual chapter(s). 1,000 to 3,000 questions available for purchase.